Our company is involved in manufacturing elegant Tandoor system with Alloy. 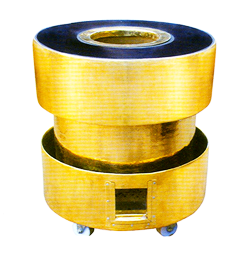 In this category, we manufacture Designer Brass Round Tandoor. This appliance is used in all kitchens for making delicious food items. Our cooking systems are highly acknowledged for the key properties such as dimensional accuracy, robust construction, high tensile strength and quick heating capacity. We offer our all general and designer Tandoor systems at competitive prices.